Daron: God help me if I&apos;m ever reduced to cruising Wal-Mart. Can we talk about music now? ctan: You&apos;re the one who brought up New Jersey! Daron: And now I&apos;m changing the subject. 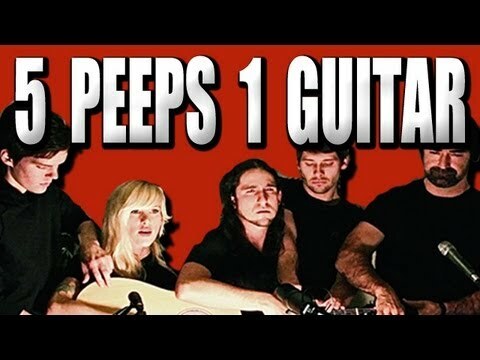 Okay, 146 million views on Youtube probably means most of you have seen this already: Five Peeps One Guitar! (aka the group Walk off the Earth covering Gotye&apos;s "Somebody I Used to Know). Trust me, even if you are sick of the song (I&apos;m not) you&apos;ll want to watch and hear the video in the headliner today. Daron: You found a way to drag it back to New Jersey after all? ctan: Can&apos;t help myself. Like an old music professor of mine used to say, Everything is Everything. Hey, someone asked me the other day what your playing in the park sounded like. Daron: It sounded like... me trying to play all the parts on the guitar, including the melody to a song, since I didn&apos;t sing. Plus Bart on the bongos, when he was there. Why? Daron: Okay, you win. 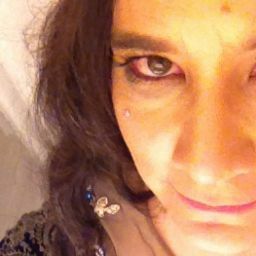 Everything IS everything. 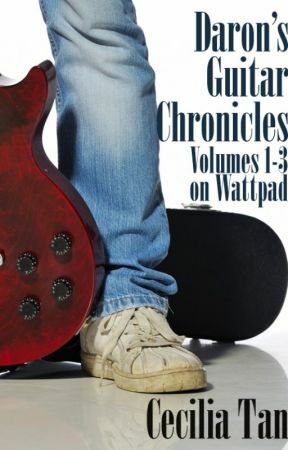 More books in the series are available here on Wattpad. Look for Book 4, 5 & 6.